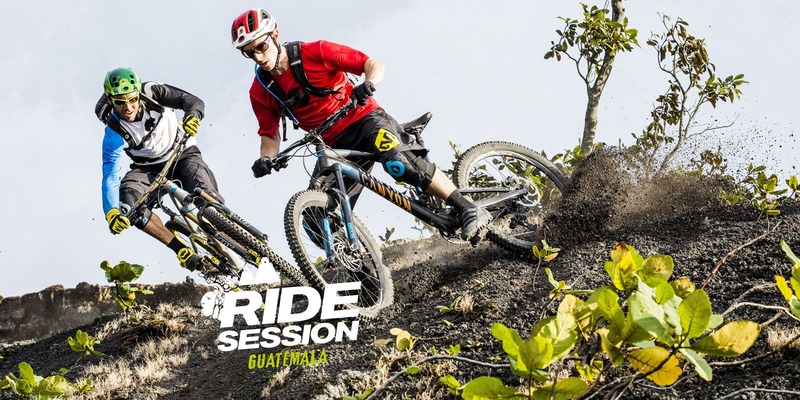 In September 2013, Rodolphe and around 30 other passionate bikers used the Julbo website to apply for a place in the next Ride Session with the prize on offer of a 10-day enduro mountain biking trip to Guatemala with Fabien Barel. After uploading his video and filling out the form, Rodolphe got a phone call from Fabien who wanted to meet him on the Roc d’Azur along with nine other candidates. After a day of biking and spending time together, the final choice was made: Rodolphe was the lucky winner and in line for a dream trip to share the life of a pro in November 2013. Triple DH world champion, 5 DH World Cup victories, 6 time French champion and 3rd in the overall standings of the Enduro World Series 2013, Fabien Barel has one of the most outstanding trophy cabinets in mountain biking. 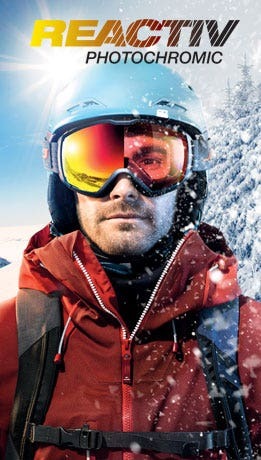 At 33 years of age, he has set himself new enduro challenges and looks forward to new adventures with Julbo. Rodolphe, an architect by trade, is a 30-year-old amateur rider. He simply produced a one-minute edit to win over Fabien and the Julbo production team, allowing him to book his seat for a dream trip to the land of volcanoes. 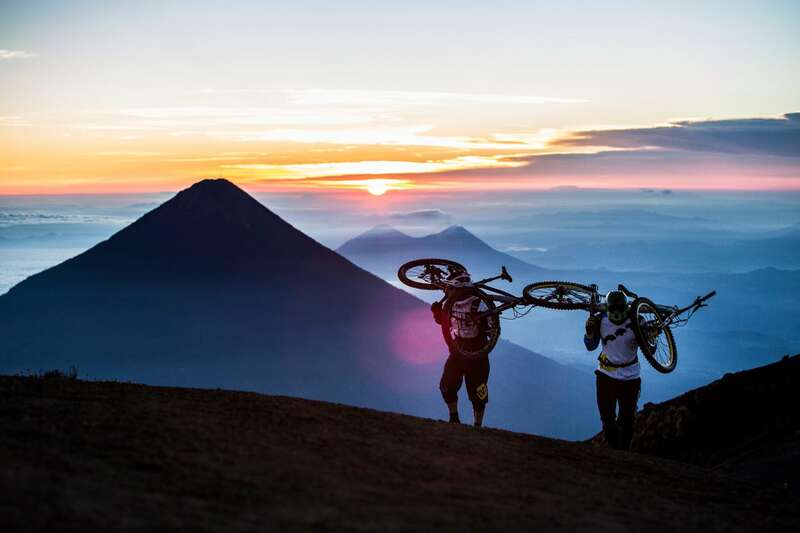 After a 20-hour journey to get to Guatemala from Geneva, Rodolphe, the lucky winner of the 2013 Julbo Ride Session, Fabien Barel and the production team set up base camp in Antigua: one of the country's treasures and a designated UNESCO World Heritage Site. Its cobbled streets and brightly colored houses are overlooked by three volcanoes: Agua (3,766m), Fuego (3,763m) and Acatenango (3,976m). 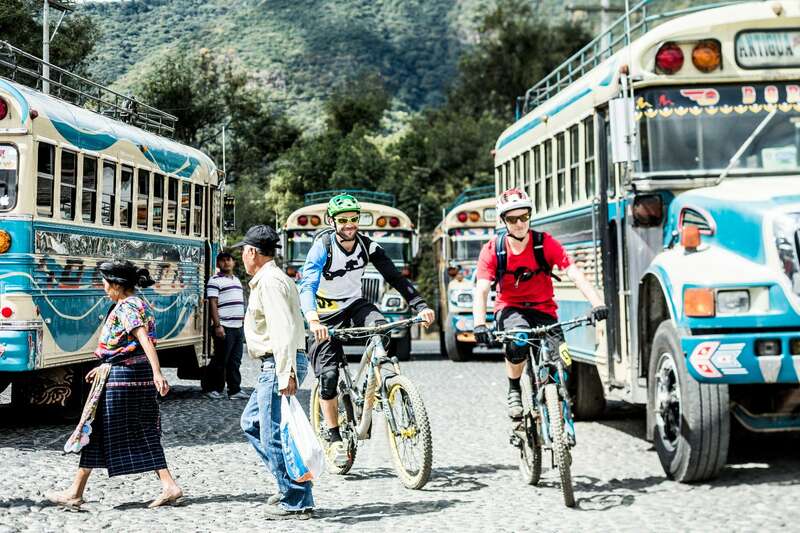 At 1,000 meters above sea level, the city is ideally placed for easy access to the different ride spots and buzzing with activity in the best Guatemalan tradition. The scene is now set for the 2013 Julbo Ride Session. 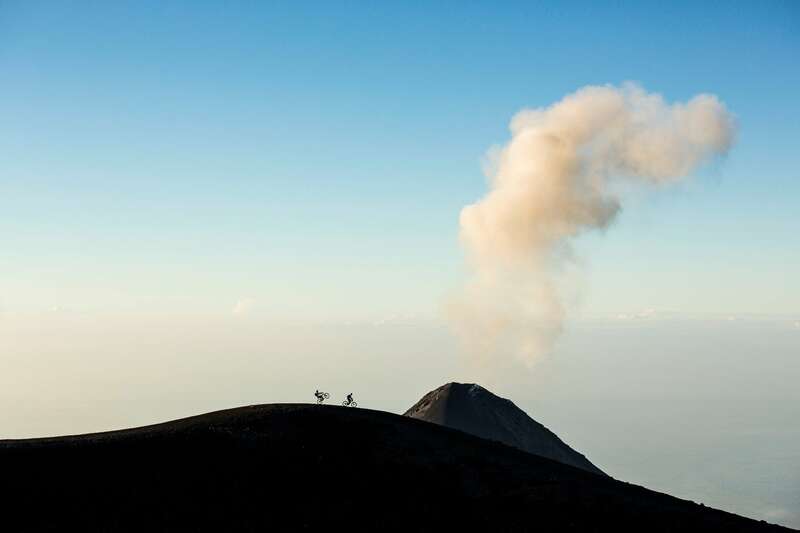 On the first day, the team lost no time in attacking the Agua volcano, located just a few kilometers from Antigua. This first ride session took place surrounded by the incredible scent of the coffee trees. Up next, the Pacaya volcano (2,552m). 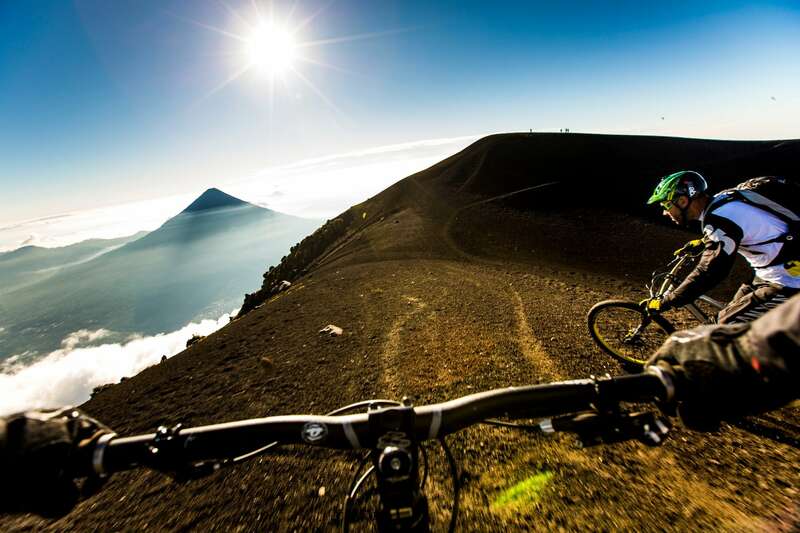 But the lava from its last eruption in May 2010 made riding conditions more difficult for Rodolphe and Fabien. Descending slightly, however, they could enjoy the thrill of bombing down dunes of black sand formed by pebbles of eroded lava. "It felt just like surfing," explains Fabien. "Normally you feel the ground underneath you, whereas there you had to be constantly steering into the skids, making it really feel like you were floating: fantastic!" The next day, around the coffee plantation estate of Finca Filadelfia, they crossed from one valley to another taking their bikes over 400 and 500m rope bridges: an amazing system that the team soon fell in love with when searching for new mountain biking trails. Once there, they ripped down tracks in the middle of coffee and maize fields, ending up in a favela where the children welcomed them with big smiles. Well warmed up by now and having got their bearings on volcanic terrain they'd never experienced before, the team set off on the ascent of the Acatenango volcano, the highest summit (3,976m) in a little country which has more than 30 of them. Dropped off at 2,000m in a 4x4, Fabien and Rudolf took the remainder of the ascent step by step. They stopped halfway up to sleep at a base camp at 3,000m before starting the ascent the following morning, with a planned departure of 3am. 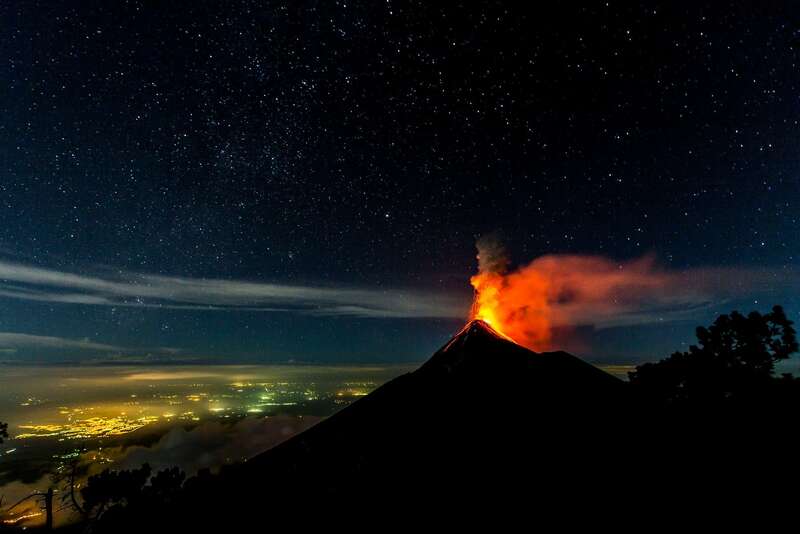 A short night marked by the rumbling of the volcano located just opposite them: El Fuego, who gave them a memorable show with fantastic eruptions of lava. In the early hours, their bikes on their backs, Rodolphe and Fabien took almost two hours to reach the summit just before sunrise. And what a sunrise! After several hours enjoying the spectacle, they decided to head down the mountain, a run with a 3,000m descent. The upper slopes of the summit consist mainly of a large expanse of black sand where it's difficult to ride, with faint tracks that meant lots of technique was in order, with the emphasis on anticipation and good weight distribution over the bike otherwise in a split second they'd be on the deck. And they often were! Lower down, they ripped down narrow paths in the jungle to get to fields and back to Antigua. 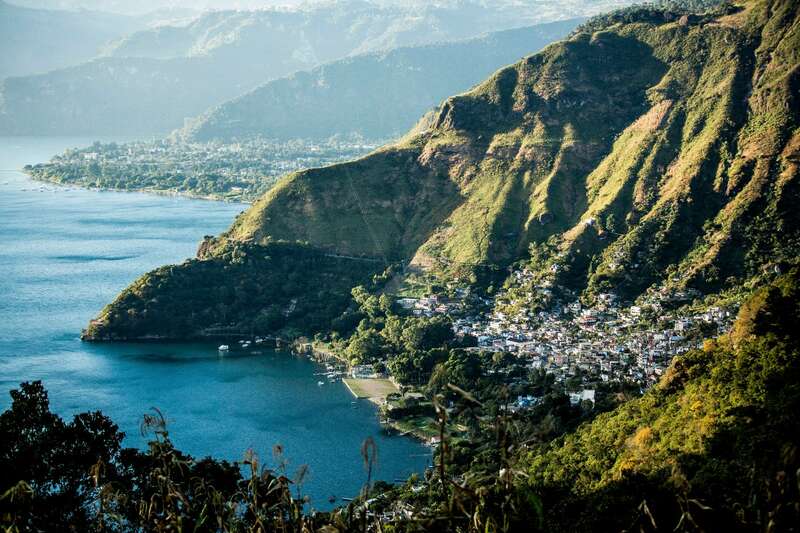 They finished their journey at Lake Aticlan, a vast expanse of water in the middle of a crater, offering runs with incredible views of the surrounding volcanoes. And they came back with no shortage of incredible images. Rodolphe could share his experience with us through photos and videos and that's the whole point of the Julbo sessions: "The trip was a fantastic time for sharing and spending time together with everyone and especially Fabien. A great guy, uncomplicated, passionate and committed to what he does. An inspiration for achieving your dreams and getting to where you want to be," explains Rodolphe. And from Fabien: "There was an immediate connection between us. Rodolphe is a guy who loves nature and was 100% up for the adventure. He amazed me with his professionalism in the shoots with the production team. He's also a really great rider, who's good at anticipating his lines but his enthusiasm did cause a few falls." A trip with great memories but also its share of hassle: missing luggage when they got to Guatemala, a technical problem with the car which meant looking for a welder in the middle of nowhere... In other words, a mash-up of all the ingredients that make a trip what it is: a break from ordinary life, an unforgettable experience for Rodolphe and something to make all of us dream. "The trip helped open my eyes, to my own life and what I'm doing with it, to what I really want to do. I was already passionate about my bike and the possibility of interacting with nature and people, and I've come back determined to do everything I can to make a living from it. 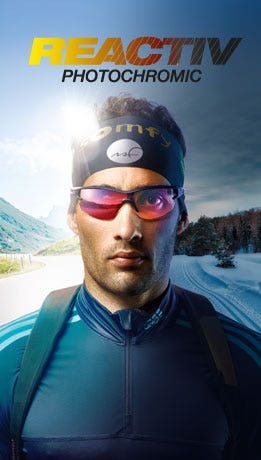 Without the Julbo session none of that would have happened, so once again, thanks so much," sums up Rodolphe. Thanks to Fabien for being so nice and for his skills. Thank to Rodolphe for his motivation. Thanks to our guide Luisa for her efficiency and her smile and to Ricardo for his amazing cooking. Thanks to Jérémy, Dino and Seb for their breath-taking images. Thanks to the solderer who helped us out in his shorts and without safety goggles.